Kagge brings a unique perspective, drawing on his personal experiences as an explorer, including insights gained during a solo expedition through Antarctica. While he acknowledges the inherent elusiveness of silence, his thoughtful writing style is enough to pull the reader away for a moment from the hectic world. Silence in the Age of Noise is written with clarity and purpose; it is concise and easily digestible, but also rich with personal anecdotes and bits of wisdom from various thinkers, writers and entrepreneurs. 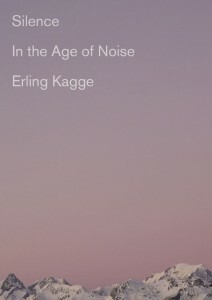 An art collector and publisher himself, Kagge must have had a strong voice in the production value of this little book: with pleasing ombre title pages and full-color art reproductions by the likes of Ed Ruscha and Catherine Opie scattered throughout, the visual aspect of the book alone evokes a meditative quality. Among the book’s more fascinating insights is a chapter that summarizes recent findings of a joint study in which subjects were asked to sit alone in a room, absent of distractions, for 15 minutes. The same subjects were also exposed to an electric shock, which they understood ahead of time would be painful. Subsequently, these subjects were given an option: sit alone again for 15 minutes without distraction, or experience the same electric shock in order to reduce their time spent in silence. Nearly half of the subjects elected to push the button to administer the painful shock in order to escape the prospect of being alone with their thoughts. 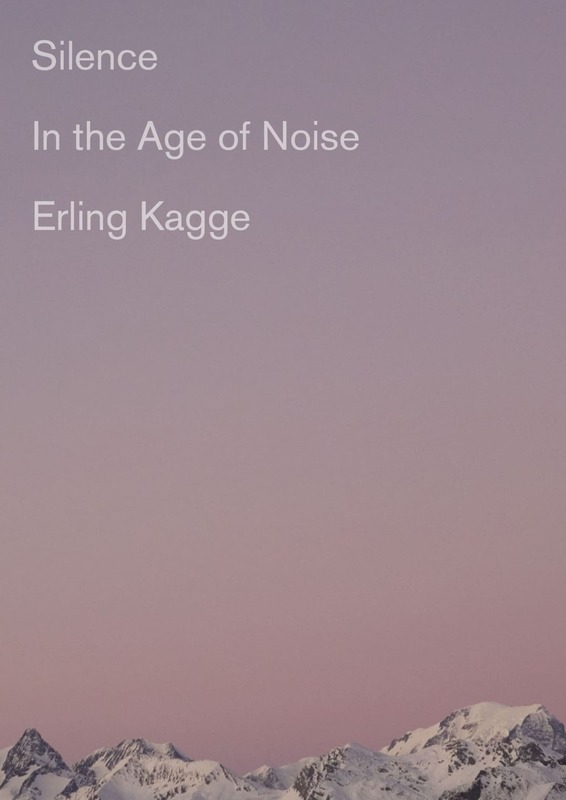 Kagge raises this research to illustrate how challenging the quest for silence can be. Kagge also addresses the modern obsession with busy-ness, and the notion that “people in our part of the world don’t experience material poverty, but rather a lack of time”. He argues, “We do have enough time. Life is long, if we listen to ourselves often enough, and look up.” It is a reminder to find presence in gratitude, to remove ourselves from the clutter, and to appreciate each day we spend alive. Silence in the Age of Noise does not overtly place itself in the self-help genre, though it wouldn’t be wrong to categorize it as such. And like any good book in this vein, it does not lay out explicit answers to the questions it poses, but rather invites the reader on a journey of contemplation. It is a worthy read for anyone who has lamented the modern plague of noise, for those who seek that ever-elusive resource within. Emily Young is an interior designer and painter. She lives in Denver, CO with her husband and anxious dog.